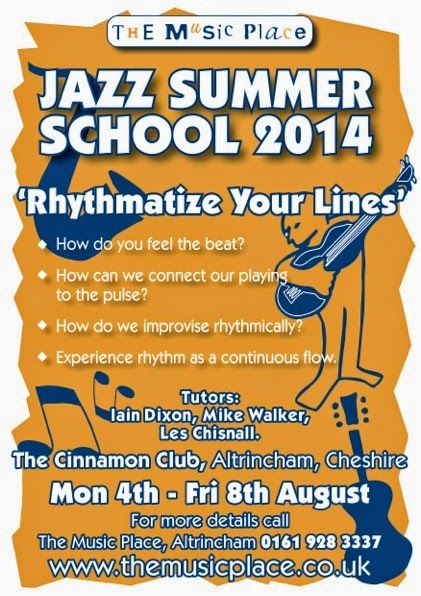 The Music Place are running a jazz summer school between Monday 4th - Friday 8th August this year called Rhythmatize Your Lines. This year's course will be led by three of the North's finest jazz musicians and educators; Mike Walker, Iain Dixon and Les Chisnall. The course fee is £325 and more information on how to book can be found on The Music Place website. See their facebook page for photos and videos of previous jazz courses.